Here is another reason why why Mustapha will not listen to that 'nonsense' Nyota Ndogo is speaking. The king of controversy has posted yet another photo with a hot diva exposing all she got from her mama despite the fact that Nyota Ndogo warned him. He surely is a dare devil. 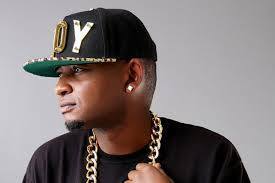 Moustapha once rode in fame as a member of the talented group Deux Vultures but all these went to waste and since he wanted to remain relevant, he decided to use controversy. A philosopher once said, any publicity is good publicity so maybe Moustapha might be absolutely right. Lately Moustapha has been posting pictures with n*** girls. Last year it was him and the controversial socialite Huddah and Moustapha seen exploring Huddah’s fundamentals. He released his “clean explicit” music video, Dodoma Singinda which never received any air play in Kenyan media houses. If Nyota Ndogo sees this photo she might go bananas and may lose her manners. She might make Moustapha to be nyerified.